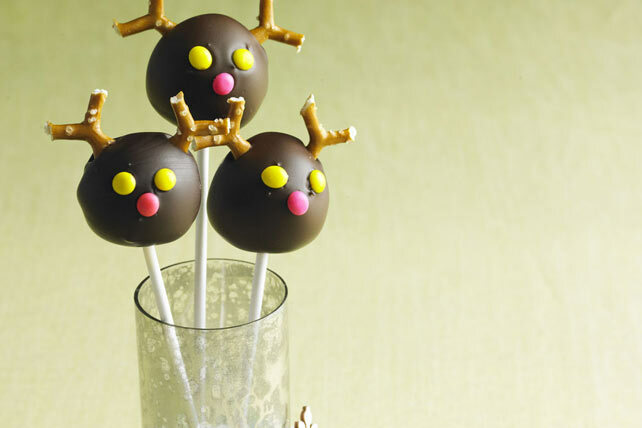 Between the gingerbread flavor and the cute reindeer design, these cookie ball pops are a must during the holiday season. Mix cream cheese and gingersnap crumbs until blended. These seasonal treats have built-in portion control and can be enjoyed on a special occasion. Crushing gingersnaps is a cinch with a rolling pin and a resealable plastic food storage bag. Or, process the gingersnaps in your food processor or blender.